When a drop of Orange Blossom honey spreads across your tongue, the fragrant citrus flavor and spicy floral bouquet let's you know that this is one of the world's premiere honeys. You can almost taste the delicate blossoms, and see acres of orange groves--it's like a quick trip to Florida, right there on your spoon! Our honey is raw, never heated, thereby preserving all of its nutritional benefits. Honey is healthful, however it should never be fed to infants under one year old. It's great for digestive difficulties, ulcers and allergies. It aids in healing when applied to wounds or burns. It's also sweet and delicious...the only sweetener that contains enzymes, vitamins and minerals. 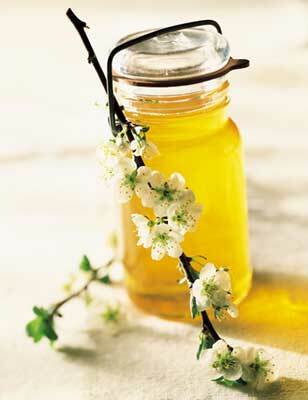 Enjoy our natural, delicious Orange Blossom honey! It's sticky sweetness will bring joy to your day! Note: Packaging differs from photo. Honey is sent in standard plastic "queen line" jars in order to prevent breakage and facilitate cost-effective shipping.